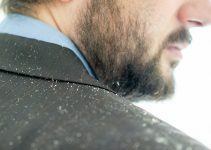 For most well-groomed men, back hair ranks right up there with dandruff and bad breath. And most women hate that man shrubbery that follows you everywhere like your shadow. We’ll start with some back shaver buying tips, review what we think are the top five back shavers, talk about how to use a back shaver properly, and even compare them to waxing, which is another method for removing hair. Should I shave? should I wax? Electric – If you choose an electric back shaver you must worry about a power cord. There’s nothing wrong with power cords, except they may become tangled and may restrict your movement. Battery – Many men prefer battery-powered shavers and trimmers because of their convenience. There’s no cord to contend with, which gives you the convenience of trimming wherever you want to, but keep in mind how long a shaver’s battery lasts before it needs to be re-charged. Manual – A manual back shaver is just like a manual cartridge (or safety) razor in that you provide the power. You can take it anywhere, but you do need to monitor the blade’s sharpness and put in a new one when needed. Back shavers need handles for reaching hard-to-get areas of your back. Let’s face it, your arms can only reach so far and, unless you have someone shave your back for you, you’re going to need a bit of mechanical assistance. The length of back shaver handles often vary from model to model, with some designed to reach every area of your back and some made to get rid of the man forest on your shoulders and upper back. Another thing to consider about a back shaver’s handle is whether it extends or retracts when needed and if it locks into place. 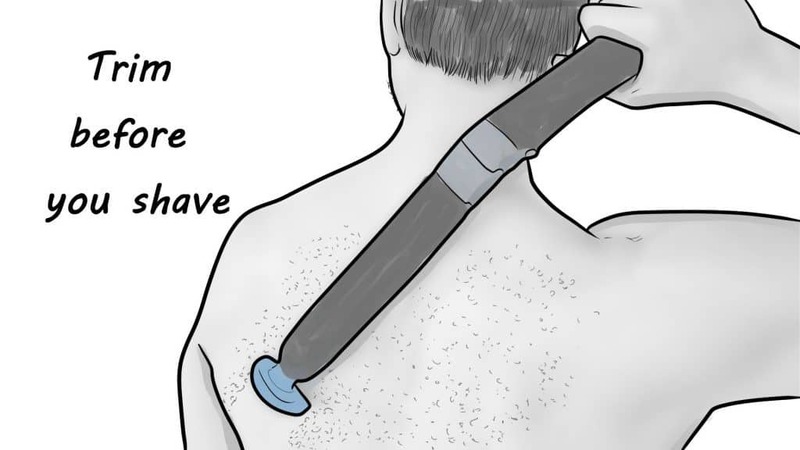 The last thing you need is for your shaver’s handle to collapse or move around when you’re engaged in the often sensitive task of shaving your back. Back shavers also come with different grips, while some are waterproof. Choose a model that’s easy for you to use and that fits your grooming routine. 3. Does it have a flexible head? Ideally, your back shaver should include a flexible head that follows the contours of your back and shoulders (which provides a more comfortable shave, for one). If a back shaver doesn’t come with a flexible head, it should come equipped with gentler blades that reduce the risk of nicks, cut, and other skin irritations. Like any product, a back shaver will last longer if you give it some good ol’ TLC. Pay attention to the cleaning and maintenance required of your back shaver. The easier the maintenance, the better, in most cases. Replacing your blades is an important part of ensuring that you get a close, comfortable shave every time you use your back shaver. The cost of replacement blades is sometimes expensive, however, which may make your back shaver not quite the long-term investment you originally thought. Don’t get us wrong, you want quality blades that stay sharp a long time, but you shouldn’t have to bust your budget every time you have to buy new ones. 6. What about the warranty? Always pay close attention to the warranty before you purchase your back shaver. A longer warranty is typically better and provides you with the peace of mind that comes from knowing the company stands behind its product. Let’s move on to our reviews of the best back shavers of 2019. A decade of research and development went into Mangroomer’s Ultimate Pro Back Hair Shaver and the attention to detail shows. You’ll find it on several reviews of the best body groomers available today and we think it’s the best back shaver. What makes the Mangroomer Ultimate Pro Back Hair Shave so good? Let us list the ways. Mangroomer’s signature back shaver has a variety of features that show their commitment to detail (and, not to mention, their years of R & D). It comes with two interchangeable attachment shaving heads, each with a multi-functional, flex neck that helps you to avoid skin irritation. There’s an ultra-wide groomer blade designed to shave larger areas of the back, but also a foil body groomer – with a multi-directional shaving head – that’s great for regular maintenance and trimming shorter hair. The Mangroomer’s lengthy handle allows you to reach the hard-to-get areas of your back and comes with an ergonomic rubber handle and an extension lock button. It also features a power hinge with a push-button lock that enables you to shave at a variety of angles. The multi-functional Mangroomer neck on both of the attachment heads comes with a shock absorber that makes it easy to follow the contours of your back while providing an ideal angle for the blade to meet the skin. The Mangroomer also features a Power Burst button that provides an extra burst of power, especially when you’re trimming through the more forest-like areas of your back hair. The Mangroomer Ultimate Pro comes with a battery that charges quickly and includes a charge light indicator but you can also use it with a power cord if you prefer. You’ll also like the Mangroomer’s Ultra-Sensitive, hypoallergenic blades made from stainless steel. They’ll help you get a soothing shave without causing skin irritations. There’s more than one high-quality back shaver on the market but it’s hard to beat the Mangroomer Ultimate Pro. It combines convenience with unique features to provide a comfortable, thorough shave. BAKblade took a good thing and made it better. Which is good news for men looking to rid themselves of unsightly back hair. Not that “new and improved” necessarily means, well, new and improved, but in this case BAKblade lives up to the label. Their 2.0 Back Hair Removal and Body Shaver is a step up from the previous model in a variety of ways. For one, it has an ergonomic, S-shaped handle that provides access to the remote areas of your back that many other shavers can’t reach. The handle also enables you to apply enough pressure to get a close shave but without nicking or cutting the skin. Moreover, the handle is collapsible, which makes for easy storage and traveling. The 2.0 includes a redesigned shaving head attachment that now has two shaving heads, instead of one. It also has a removable shaving head attachment. The newer model also comes with a small cleaning brush that attaches to the underside of the unit. Plus, the color of the new BAKblade is matte black – and not blue like the 1.0 – while the 2.0 also comes with a suction cup hanging device. Another thing to love about the 2.0 is BAKblade’s patented DryGlide safety blade cartridge. The cartridge is detachable from the shaving handle, while a safety guard helps to prevent cuts and razor burn. We obviously think the BAKblade works great for removing back hair but you can easily use it to trim your chest and abdomen hair, if you so desire. All in all, the 2.0 design and razor flexibility create less friction between the blade and skin. Less friction is always good when shaving, especially when you’re shaving hard-to-reach, hard-to-see areas. The 2.0 blades also represent an upgrade in that they’re designed to last longer. But the price of replacement blades is very affordable, so switching over to new blades every seven or eight shaves won’t kick you square in the wallet. Also, the blades are easy to change. The BAKblade 2.0 is suitable for dry and wet shaving. It’s easy to clean and you don’t have to worry about the hassle of clogged blades. The BAKblade back shaver is an iconic tool that makes body grooming easy for men while also appearing in most back shaver reviews. The 2.0 adds a host of new, quality features that make it even better than before. While the Bro Shaver Back Hair Shaver may not have all the bells and whistles that other shavers do, that doesn’t mean it won’t help you rid yourself of unsightly back hair. In fact, it helps you to perform the challenging task of shaving your back hair better than the majority of shavers. Bro Shaver is an American company with over 15 years of experience in producing back razors. Their Back Hair Shaver has a solid construction which includes stainless steel bolts, and they back all of their products with a 60-day money back guarantee and a one-year warranty. If you don’t like the Bro Shaver for whatever reason, send it back and you’ll get a full refund. It’s always nice to have that kind of guarantee in your back pocket. The Bro Shaver works for both wet and dry shaving. It’s 100% water-resistant. The latest version of the Bro Shaver Back Hair Shaver comes with Comfy Cloud Shaving Technology that helps to prevent skin irritation, even when dry shaving. It comes with 15 stainless steel double-edge safety blades. Meanwhile, their blade refills cost less than many other back shaver brands. The blades are sharp enough – and the shaver easy enough to maneuver – that you can complete the task of back shaving in less time than with most other shavers. Not that there’s anything wrong with taking your time, mind you. Its design is sleek and modern and includes a handle grip that prevents the shaver from moving, or dropping, in the middle of your job. The handle measures 22-inches and helps you to shave those hard-to-reach places. The double-edge blades are easy and fast to load, as well as factory-sealed and sterile. You don’t have to worry about a power source because the Bro Shaver Back Hair Shaver is fully manual. Again, you can use the Bro Shaver with or without shaving creams and oils. Many users say you’ll get a smoother, closer shave with shave cream, but you’ll still get a close shave no matter how you use it. The Bro Shaver serves one primary purpose – shaving your back – and it’s very good at what it’s intended to do. You’ll like its ease of use, its fully functional design, and the closeness of its shave thanks to quality stainless steel blades. Mangroomer has you covered when it comes to all types of body grooming. With two products on our list of the best back shavers, however, it’s obvious that they know a thing or two about getting rid of back hair that so many women – and others – find more than a little off-putting. MG’s DIY Electric Back Shaver rates among the best manual shavers, no doubt, and enables you to shave your back effortlessly without worrying about your power source (other than 2 AA batteries, that is), power cords, charging stands, and the like. That makes it convenient to use just about anywhere, even when you travel, and helps you complete the job of back shaving without wasting precious time. But convenience isn’t the only reason to include this back shaver on our list. We also like its sleek, lightweight design that opens easily from its stored position and enables men of all shapes and sizes to shave their back hair. The handle extends fully and locks into place at several lengths to help you reach even the hardest-to-get areas of your back. Mangroomer’s patented 135-degree design also helps you reach those areas at different cutting angles. The Mangroomer Do-It-Yourself Electric Back Hair Shaver features a large blade that allows you to shave larger areas of your back more easily and with fewer strokes. Meanwhile, Mangroomer’s cutting-edge blade design delivers an extremely close, comfortable shave that won’t leave painful ingrown hairs behind. The two AA batteries should provide about five hours of runtime, which translates into dozens – if not more – shaves before you need to replace them. It’s hard to go wrong with any of Mangroomer’s back shavers and their Do-it-Yourself Electric Back Shaver is no exception. It’s convenient and easy to use and helps you to shave in the most remote areas of your back. Sometimes simple is effective. Simplicity is one way to describe the Razorba Back Hair Shaver – another do-it-yourself product for which you supply the razor blade of your choice. Made from durable, hard plastic, the Razorba has an extended reach that gives you access to hair all over your back. It also has an ergonomic grip on the handle to make using it more comfortable than a lot of other back shavers. You provide the power behind the Razorba – there are no batteries or another source of power – and most users say it’s very gentle on the skin. The fact that it’s compatible with most facial razors is a plus for many men. You simply insert the razor into the end of the Razorba and start shaving. It’s also easy to replace the blade when it becomes dull. You can use it in the shower or without, and with your favorite shaving cream. Again, you get to use a razor blade of your choosing and one of which you’re familiar. That provides peace of mind to many men. The folks at Razorba say their shaver kicked the back-shaving market into full gear and many others have jumped on the bandwagon. We can’t vouch for the validity of those claims, but we do think Razorba set high standard others have had to follow. Feel free to join the long line of Razorba users; chances are, you won’t be disappointed. There’s nothing complicated about it but it provides a host of benefits – not the least of which is a close, comfortable shave without a lot of fuss. We’d be lying if we said that shaving your back is easy because it’s not. The right tools, such as the back shavers we’ve listed above, will help make the task less daunting but we’re talking about an area of the body that, A) covers a wide area and has many contours, B) that we really can’t see except with the help of a mirror, and C) has sections that are very hard to reach with a normal shaving device. Well, first, don’t panic. Shaving your back isn’t exactly rocket science, even if it requires specific tools combined with a nice dose of finesse. It is, however, going to take more time than you’d spend shaving other parts of your body, so always practice patience. Exfoliation is the process of removing dead skin cells that everyone has on his or her body because the skin is constantly renewing itself. The dead cells not only make skin look dull and, well, lifeless, they also prevent you from getting the closest shave possible. Removing them also reduces the risks of ingrown hairs after you’ve finished shaving. You can use an exfoliating body wash on your back, or use a loofah – many of which come with a long handle that enables you to exfoliate the hard-to-reach parts of your back. Trimming before shaving is particularly important if you haven’t shaved your back before, or haven’t in a long time and have an extra-long patch of hair. You can use a trimmer designed for body grooming tasks, or even a beard trimmer. Make sure that your trimmer comes with guards of different lengths; the best bet is to use a shorter guard to trim your back, or you can start with a longer guard and re-trim if needed. Trimming is a step that may require the assistance of someone else unless you purchase a trimmer with an extra-long handle. Either way, it’s a good idea to trim longer hair to a more reasonable length before you shave. And, always make sure to rinse off the trimmed hair before you start shaving. You’ll always shave better with sharp blades and not ones dulled by frequent use – that’s hardly an epiphany. Nonetheless, shaving your back is a bit of a challenge, and working without sharp blades won’t make it any easier or more comfortable. Many back shavers – particularly manual ones – come with replaceable blades, while you can also use a shaver with self-sharpening blades. Shaving creams and gels make your job easier and make for a more comfortable shave when using a manual back shaver (at least those designed for wet and dry use). They also protect you from nicks and cuts. While the temptation to use bar soap instead of shave cream is difficult to resist for some men, we don’t recommend it. Back hair is typically very thick and you’re going to need a lubricant that holds up under fire. 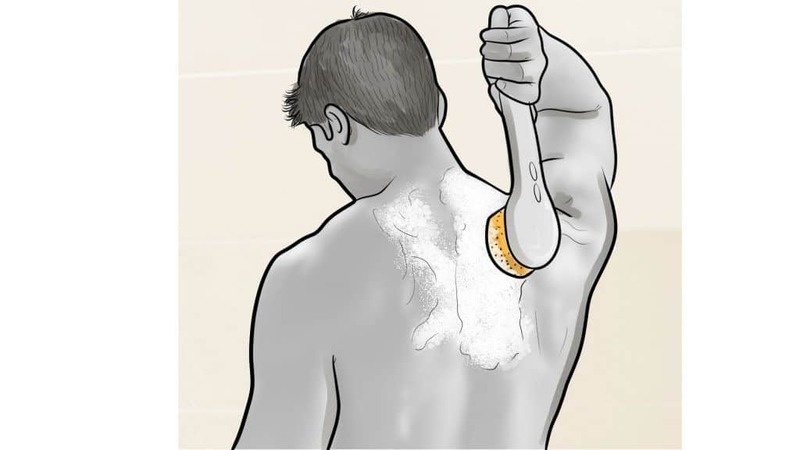 Apply your shave cream or gel as evenly as possible on your back. Use a handheld mirror, or the mirror above your bathroom sink, to make sure that you’ve covered all areas of the back and that you haven’t applied the shave cream too heavily in some places. OK, on to the actual shaving process. First, start with the areas of your back that are easy to reach. Make sure that you have a firm grip on your men’s back shaver and go slowly. Rinse the razor head with water after every few strokes to prevent the blades from clogging. You’ll usually get a closer shave if you shave in the opposite direction of your hair’s natural growth. For the upper areas of your back, this may mean reaching over your shoulder and shaving with upward strokes. Perhaps the most important thing to remember while shaving your back is to work slowly and with caution. 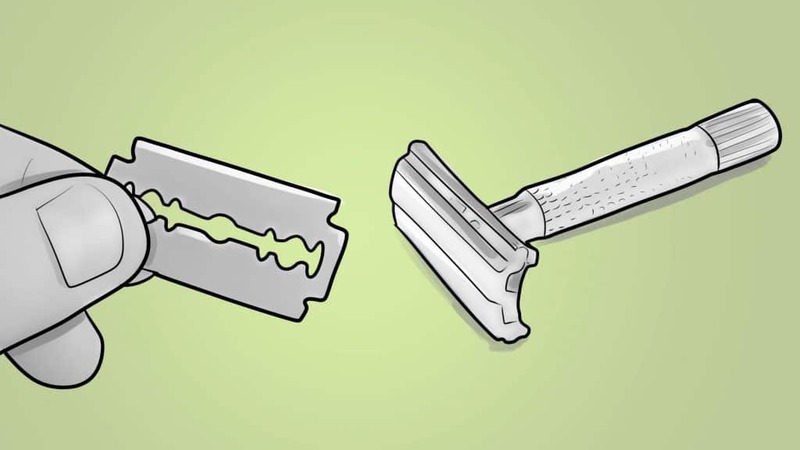 Shaving too fast increases your risk of getting nicks and cuts. 6. Rinse it. Dry it. Rinse your back with warm, or cool, water after you’ve finished shaving and then dry it with a towel. Be gentle with the towel: rubbing it too vigorously can irritate the skin. Aftercare is another step you should include in the back-shaving process. Rinsing your back with cooler water after you shave helps to ease any irritation caused during the shaving process and helps to prevent razor bumps. It’s always a good idea to apply a moisturizer after you’ve rinsed and dried your back, as well. That’s especially true if you have dry or sensitive skin. One of the biggest differences between electric and manual back shavers is the types of blades they use. Electric shavers typically come with self-sharpening blades, while manual razors usually use replaceable blades. There’s nothing wrong with either type of blade but the cost of replacement blades can get expensive. That’s why it’s always important to check out the price of replacement blades before you buy a manual shaver. Thanks to a motorized shaving head, you can adjust an electric shaver’s blades to attain the desired length of your trim. Meanwhile, a manual back shaver’s blades are wider than found on a conventional razor and are part of a more flexible design that adjusts to the curves and contours of your back. Many electric back shavers use batteries. Again, nothing wrong with that, but make sure the average battery life is sufficient before you buy. The battery should provide you with at least a couple of hours of use and that you’re able to charge it rapidly when it runs out. Also, many electric shavers come with power cords, which help conserve battery power, but a power cord limits your mobility and convenience (not that you’re planning to shave your back from the comfort of your backyard, for example). A shaver’s battery life obviously isn’t a concern with a manual razor. As long as you have a working arm, or two, your shaver’s power source is always readily available. A self back shaver requires little maintenance at all beyond changing the blades when they become dull. A bit more maintenance is required for electric shavers – they have moving parts, for one – but you don’t need to be a mechanical genius to keep one in working order. In most cases, but not all, electric back shavers reduce the risk of leaving nicks and cuts on your back’s skin. For one, most come with safety covers and guards that help prevent skin irritation. Most electric shavers also have a rounded cutting edge at the front that raises the hair before a second blade trims it. The bottom line is that it’s fairly difficult to cut yourself with an electric back shaver. While the blades on manual shavers may, as a whole, be sharper than the blades on an electric back shaver – and even provide a closer shave – you must be careful not to cut or nick your skin. While more men than ever may be shaving their back and other areas of the body, more have also chosen waxing as a hair removal method. It’s good to have options – and there are even more hair-removal methods besides shaving and waxing. That said, let’s take a closer look at shaving your back vs. waxing it. One thing you can say about shaving is that most of us men are used to it. We started shaving as adolescents and, even if we now sport beards, still shave in some shape or form many years later. It’s something, as the saying goes, we could probably do in our sleep, and it’s the simplest of all shaving methods. Not that shaving your back is easy, by any means, at least not as easy as shaving your face – which you can easily see in the mirror as you line up for your morning shave. But it doesn’t require a lot of equipment beyond a back shaver and, perhaps, some shaving cream or gel if you’re using a shaver that’s suitable for wet and dry use. Shaving is also a very inexpensive way to remove hair, especially when compared to waxing. 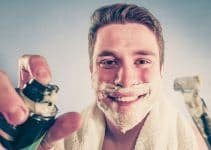 You can shave with a manual or electric razor – the latter reduces the risk of getting nicks and cuts during your shave – and you can do it almost anywhere, including in the shower (which can help produce an even closer shave). Again, shaving your face and shaving your back are two different animals. Shaving your back is a challenging process that requires a bit of dexterity and a bit of help as you shave parts of your body that are hard-to-reach and out of your line of vision. Fortunately, back shavers typically have long handles that enable you to reach most areas of the back. 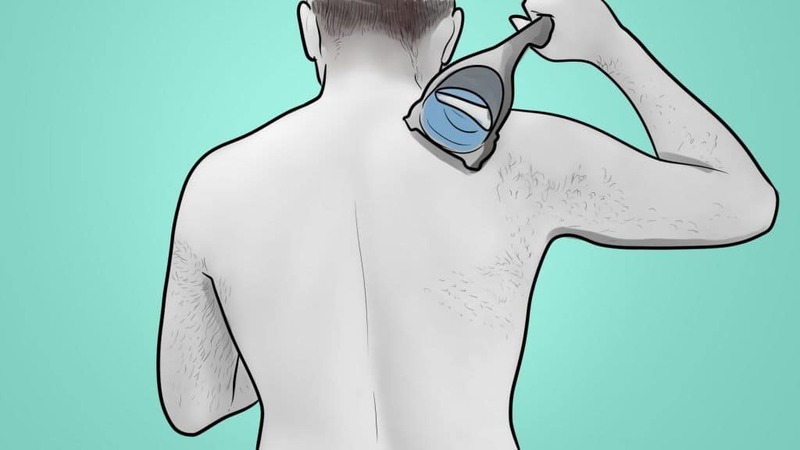 We’ve already talked about the methods of shaving your back, such as using a trimmer to remove longer back hair before beginning the shaving process. It’s also good to minimize ingrown hairs by exfoliating the skin once or twice a week. And it’s always a good idea to use a moisturizer or other skin-friendly product after you’ve finished shaving. What are shaving’s cons? Well, it’s not a permanent solution to hair removal by any means. Most men need to shave their face every day, while the hair on your back continues to grow until you shave it again. 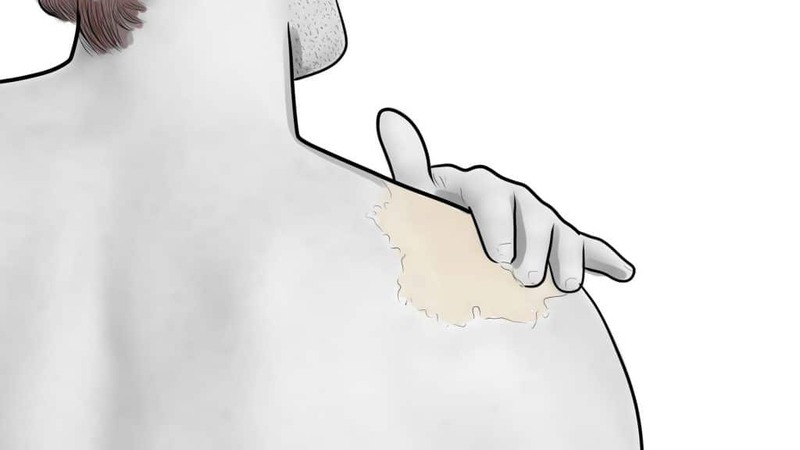 There’s also the risk of getting ingrown hairs, which can be painful, and always the risk of nicks and cuts that come with using sharp razor blades. Let’s cut to the chase. Yes, waxing methods have improved over the years but waxing still involves some pain. Then again, what you expect from pulling your hair out from its roots? No, it’s not like getting kicked in the nuts, and certainly not a kidney stone, but you’re going to have to man-up a bit to endure the waxing process. So, why bother with the pain? Well, you can’t beat waxing’s long-lasting effects, for starters. You’re pulling hair out by the roots, not shaving it down to the skin. A quality wax job on your back should last you six weeks, if not more, and the hair grows back with finer ends that cause less itching. Keep in mind that your genetics, age, and other factors influence how long your wax job lasts. While there are DIY waxing kits on the market, it’s always wise to enlist the services of a professional. A true pro knows how to remove your hair while causing less trauma and pain, and reducing the chances of ingrown hair. Waxing has come a long way and most wax jobs use soy waxes, which are creamy and adhere only to the hair and not your skin. Strips of cloth cover the cream in layers and the professional pulls them off to remove the skin (kind of like removing a bandage). It’s important to reduce the risk of infections after a back hair waxing and applying an antibacterial skin lotion for several days helps you do that. Waxing’s cons? It’s often painful, for one, and it’s more expensive than shaving. You also need to proceed with caution if you have sensitive skin. If you do, make sure to tell your professional, who will adjust the temperature and waxes accordingly. You may be surprised at how many back shavers there is today. While certain brands (Mangroomer, for instance) seem to dominate the market, you’ll find plenty of quality products from a variety of manufacturers. Our criteria for picking the best of the back shaver bunch came down to a few things, such as ease of use (including the quality and length of the handle), durability, and how effective it is in reaching areas of the back that aren’t easy to reach. Of course, we also considered whether it provided a close comfortable shave, and we studied the reviews of others, especially the reviews of customers. There are plenty of good back shavers on the market, but we think our five represent the cream of the crop in many ways. Finally, we always ask for your feedback and suggestions. Do you use a back shaver? If so, what product? Have you tried any of the back shavers on our list? We’d love to hear from you. When it comes to shaving of back hair. You really need the best machine available out there. Thank you for compiling the best among them.